Success has been our investment and commitment to having the best technicians. We search far and wide to make sure that anyone touching your car is highly trained, qualified and fits the standard making us best auto body shop in the area. "This place is amazing! Very trustworthy and honest" Say our Customers At our auto body repair facility, we have the most up to date vehicle repair equipment to bring you the highest-quality workmanship that was can. We are able to meet and exceed the manufacturer factory specification for collision repair thanks to our advanced equipment. With our top-of-the-line paint equipment, every paint job that we work on in our facility comes with a lifetime guarantee. We know we are the best collision repair shop. Which is why we stand behind the work that we provide.We pride our auto repair shop on having the best customer service in the industry. Our customer concierge service is here to conveniently aid you in all aspects of the automotive repair process.Our collision repair facility has the best body shop reviews. We provide body shop shuttle to home or work, car rental service, flatbed towing, and after hours contact. For minor damage, we provide express three-day turnaround for fast collision repair for customers who choose not to go through insurance. Our body shop is not limited to collision repair. We also offer professional Auto Spa detailing , contact us now for our auto detail prices. If you need repair questions do not be shy about calling Day or night. We can answer your Question. If we can't we will find some one who can. 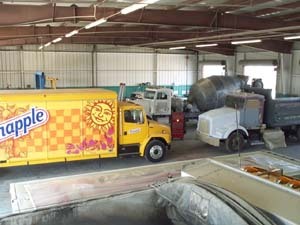 RV Paint Department has been the industry leader in motorhomes, RVs and buses painting for over thirty years. We have a group of highly skilled professionals who are dedicated to providing your vehicle with the ultimate automotive finish. We treat each vehicle like our own. We take pride in the reputation that we have built for consistent quality workmanship that is well known throughout the industry. 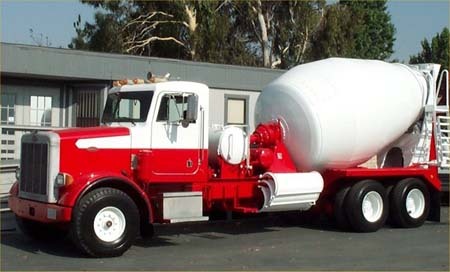 Our use of cutting edge paint technologies have made us the best paint design team in the industry. Our distinctive paint designs are commonly seen on RVs, buses, trucks and the most luxurious motorcoaches around the world. 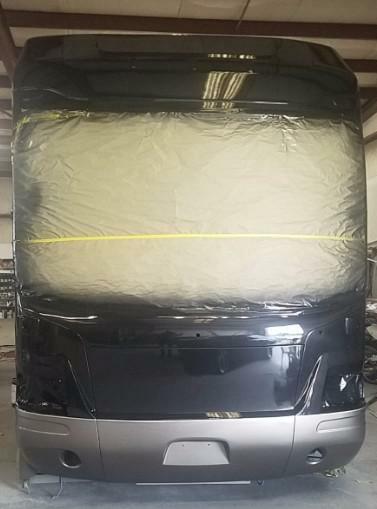 Clear Coat RV Auto Body and Collision has an expert RV Paint Department collision repair team to ensure you a superior quality repair. Our meticulous attention to detail and innovative use of state-of-the-art technology enables us to produce the astounding quality paint finishes that will meet your personal expectations. Our final product is always regarded to be both unique and stunning. The incredible achievement from our workers, you will not find a friendlier, more knowledgeable and professional staff elsewhere! California. It does not limit us to local residents. In fact, our customers range from east coast to west coast regardless of whether they are new or returning customers! Use US for all your Auto Body collision needs also. 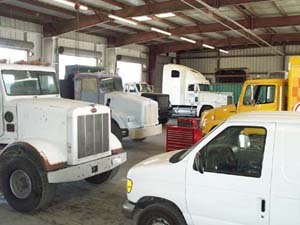 Cars trucks, Commercial Fleet trailers and box trucks, Body shop for Auto and RV . Our Auto collision Repair center can handle any job. Car bumper repairs, Plastic bumper repairs. Clear Coat Collision's RV Paint Department provides free 24/7 emergency accident assistance. 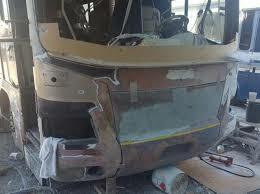 We provide a free quote and a limited lifetime warranty on all RV collision repairs. Our expert RV technicians can help you diagnose and repair both exterior and interior problems as well as provide regularly required annual maintenance to protect your investment. Ideal service for a complete RV physical to identify what is working well & what requires attention. Recommended annually to prevent bearing & brake failure. Perform every 6 months to prevent electrical failures & maintain safe operation. Recommended annually to prolong the life of the storage tank & keep it operating efficiently. Annual inspections & service will help keep your furnace operating safely & efficiently. One of the most expensive RV repaires can be avoided with an annual inspection, cleaning & UV treatment of your rubber roof. Recommended to locate hard to find RV water leaks. Manufacturers recommend this service every 75 operating hours or 12 months to maintain trouble-free operation & long life. Includes service on LP system, refrigerator, water heater & battery plus exterior inspection. Towable package includes bearing pack. Packages with generator service also available for motorized or towable RVs. Routine inspections for optimal air flow & burner/flue cleaning can prolong the life of your refrigerator and keep it operating efficiently. Recommended annually to prevent water system failures. Perform annually to help keep appliances & accessories operating efficiently & provide trouble-free travels. Just bought a previously owned RV & want to know how it operates? Let us show you how! Air conditioners operate more efficiently & perform better with the coils cleaned & filters changed annually. Prior to winter storage, make sure to winterize for enjoyment next Spring. After the long, cold winter, make sure your system is clean of antifreeze & checked for leaks. 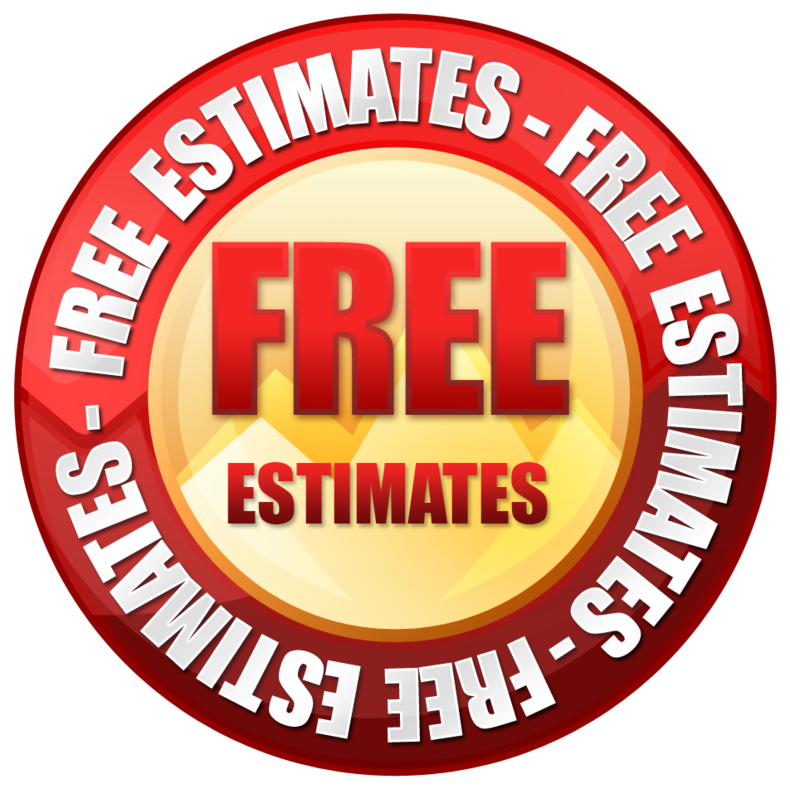 Repair or replace awnings, appliances, electronics & more! Oil change, tires, batteries, wiper blades & MORE to keep your RV Chassis' major systems in top form to maximize fuel efficiency, help prevent breakdowns & extend component life. We're your cleaning professionals! Exterior & interior cleaning & detailing to keep your RV looking sharp. We are a certified warranty service provider for most RV manufacturers. Annual inspections are recommended to ensure towable spring axles are not out of alignment. Annual inspections & pressure checks are recommended to help ensure safe travels. Annual inspections are recommended to maintain trouble-free operation & long life. Includes slideout inspection & lubrication of seals & slide mechanism.